Franconia, NH: Arrgh! Ski Like a Pirate and Hunt for Ye Treasure at the Pirates of the High Skis! at Cannon Mountain on Saturday, February 3, 2018. Pirates of the High Skis! is a swashbuckling fundraiser for the Adaptive Sports Partners of the North Country (ASPNC). ASPNC enriches the quality of life for people with disabilities through year-round opportunities for sport, recreation, and wellness. 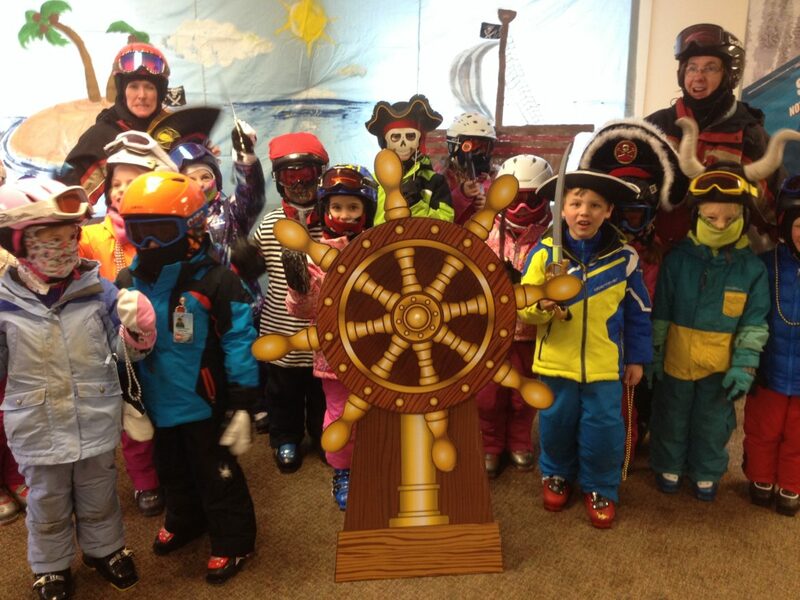 Skiers and snowboarders of all ages dressed as pirates and wenches spend the day on the slopes of Cannon finding clues, completing tasks, and collecting treasure coins, all while helping out a great cause. There will be a tattoo parlor, Pirate’s Portrait gallery, silent auction, hourly prize drawings, Luck ‘O Brotherhood raffle, and other festive activities. Event registration-only costs are $35 for adults, $25 for teens and juniors, ages 17 and under and $120 for a group of four. Sign up now at www.adaptivesportspartners.org/news-events/phs/. The earlier you register – the more chances you have to win treasures! An extra treasure coin is given for each day registered prior to the event. Please contact the ASPNC office for additional information and registration. Give a call to 603-823-5232 or email info@adaptivesportspartners.org. Adaptive Sports Partners of the North Country (ASPNC) is a community-based, not for profit organization with a mission to ensure the enrichment of the quality of life for people with disabilities. ASPNC accomplishes this through the provision of year-round opportunities for sport, recreation, and wellness through the Franconia area, North Country of New Hampshire and Northeast Kingdom of Vermont. Adaptive Sports Partners of the North Country’s office is located in the Rivagale Building, 461 Main Street, Suite 7, Franconia, NH. For more information please visit www.AdaptiveSportsPartners.org or call the ASPNC office at 603-823-5232.